Samsung Galaxy Grand 2 is a nice looking smartphone from Samsung which is released recently in Saudi Arabia. 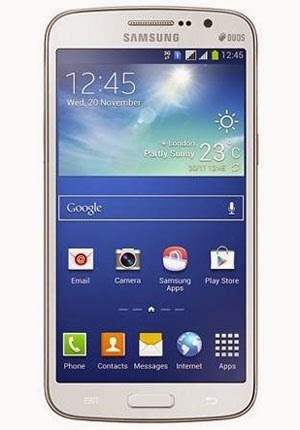 Grand 2 is a perfect launch after success of Samsung Galaxy Grand (Grand 1). It has better Screen quality, better appearance, more memory, better processor, high power battery and sleek body. Galaxy Grand 2 is launched almost 2 months ago in Jeddah city and its starting price was 1349 SR.However prices is reduced due to the trend in Saudi Arabia, every device when launched has a higher demand and higher price in the market, however when it becomes available in 4,5 big stores the price started reducing gradually. Hyper Panda is which is one of the biggest chain of super markets in Saudia is selling Grand 2 at a special offer which is 1149 SR. This offer becomes valid only for a week, from Wednesday to next Wednesday. Hyper Panda also offers another great discount on Samsung Galaxy S3, which is lowest in the market currently, 1099 SAR. So if you are looking for any of these Samsung smart-phones rush to Hyper Panda to get it at best price. Jarir Bookstore still selling this device in 1399 SR, which is quite expensive and without any gift or accessory. While Extra Stores doesn't offer a competetive price for Galaxy Grand DS 2, selling at 1349 SR.